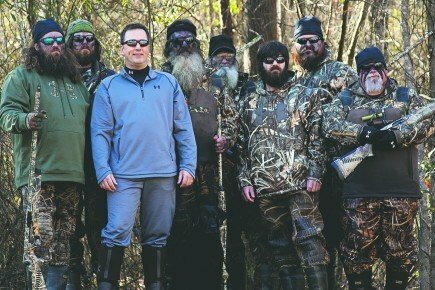 Alan Robertson, the oldest son of Duck Commander Phil Robertson, is not featured in A&E’s hit reality series Duck Dynasty. He grew up hunting and fishing and helping build the foundation of the family business in the 1970’s & ’80’s. Alan Robertson left the duck call business when he received the call for full time ministry in 1988 and now serves as a senior pastor in West Monroe, Louisiana. He is still a part of the family’s commitment to spreading the gospel of Christ through their love of hunting and the great outdoors. Alan Robertson calls himself a Jacob in a family of Esaus. After 20 years in the pulpit, Alan Robertson stepped down as one of the 1,200-member congregation’s ministers. The clean-shaven member of the clan left to help run the family business, which has exploded with growth since Duck Dynasty premiered. Alan Robertson works for the company on occasion, but is not featured on their reality show, Duck Dynasty.